3rd, repeat the above step five times. 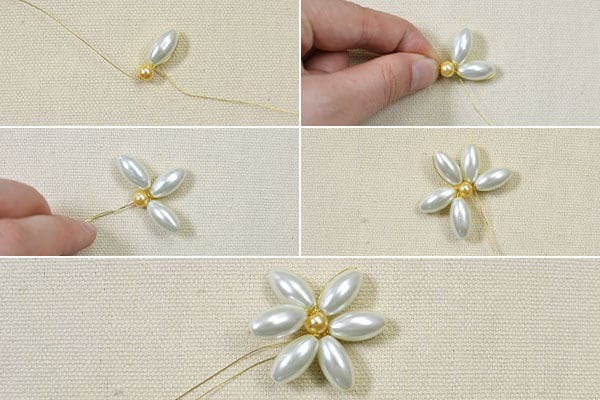 In such way, a pearl bead flower comes into being. 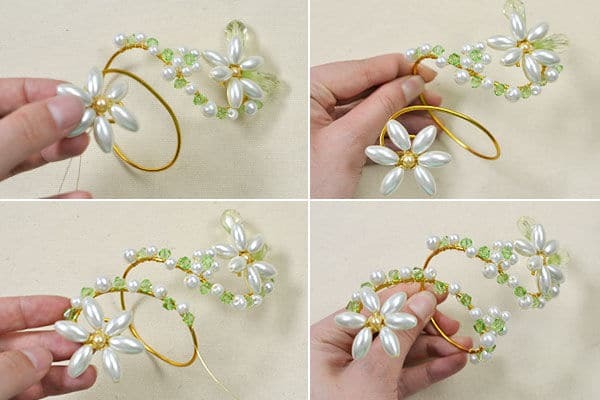 3rd, and 2 green drop beads on the two sides of the 16x8mm beige glass pearl bead (as shown in the picture). 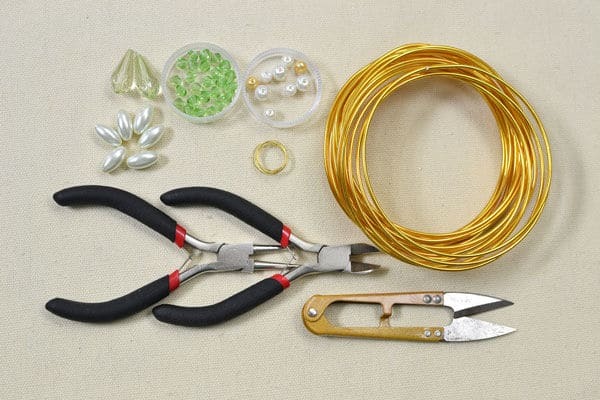 Step 5: Repeat the Above Steps to Add White Pearl Beads and 4mm Green Faceted Beads on the Other Side of the Golden Aluminum Wire. 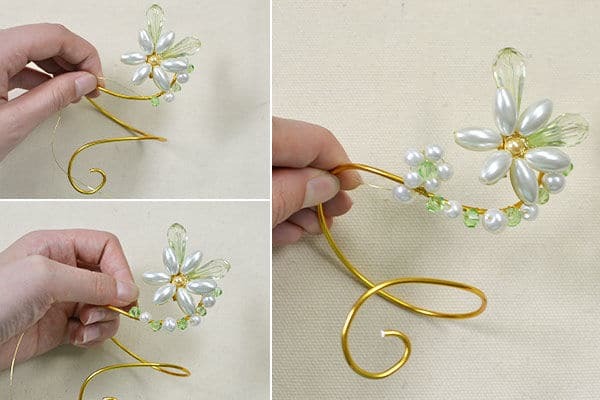 Step 6: Here Is the Final Look of the Wire Wrap Flower Around Bracelet. 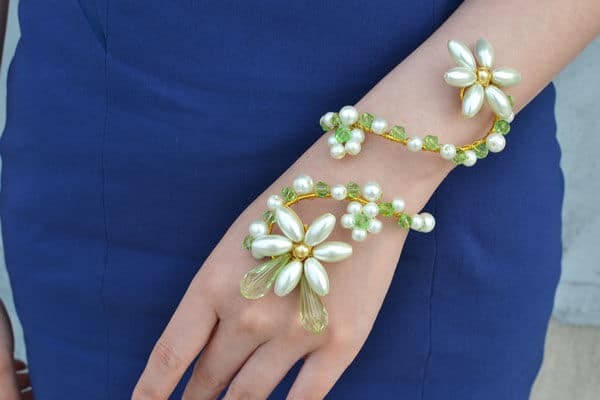 This DIY wrap around bracelet is a popular adornment that fit snugly on the wrist. 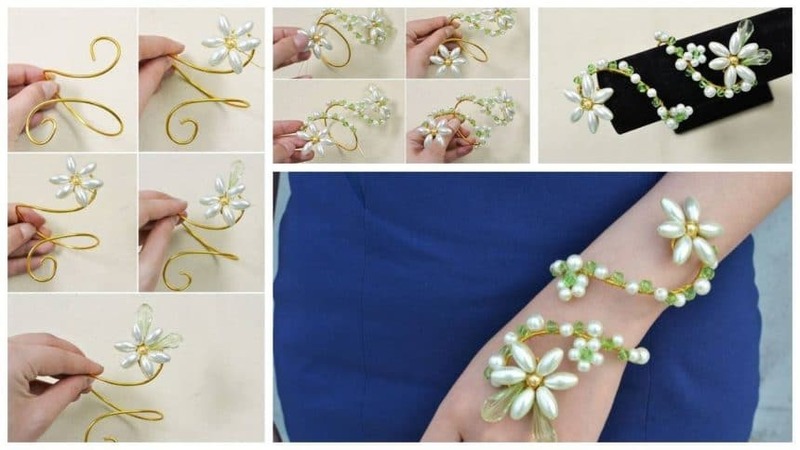 What’s more, unlike bangle bracelet or chain bracelets, this wire wrap pearl flower bracelet does not shift around much. 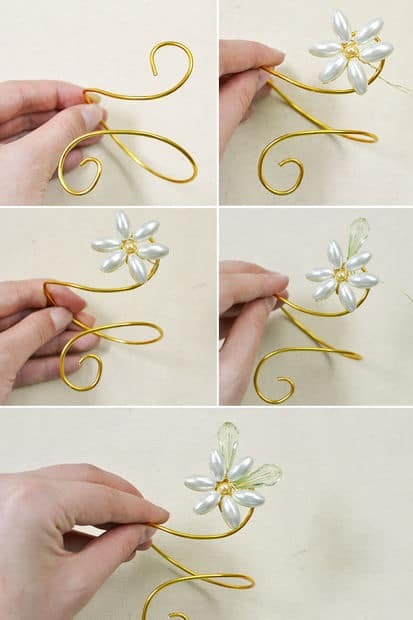 Come on and make one yourself at home.